The Sun says they're back together. 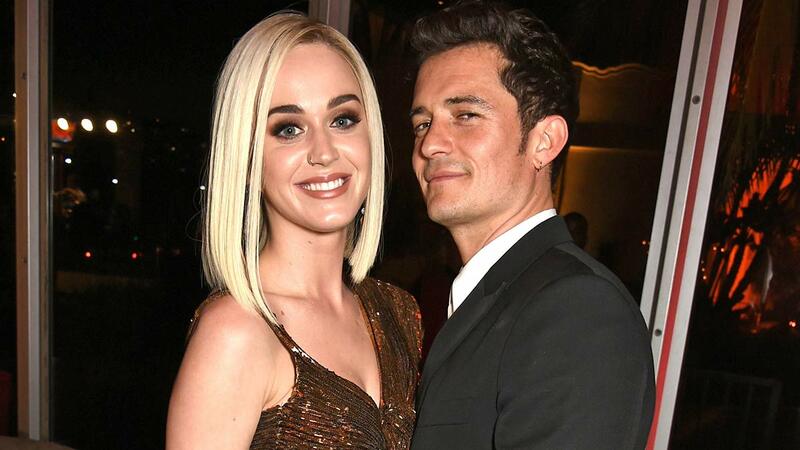 The British tabloid’s report, published Feb. 12, quotes a source who reveals that Katy and Orly are “back on” and that “Katy wants to make things work this time around.” The same source reveals Katy tried to “cut him off” but “cares too much about him.” Take this report with a grain of salt, of course. They vacationed together in the Maldives in January. According to PEOPLE, Katy and Orly enjoyed some R&R at the Amilla Fushi Resort and were even spotted eating while wearing baseball caps. While he’s not wearing anything on his beautiful head in this Instagram shared on January 2, note the geotag. They also went to Japan together over New Year's Eve. They went on a Hello Kitty ride at Sanrio Puroland and it looked absolutely terrifying. (That's Orly with blond hair). 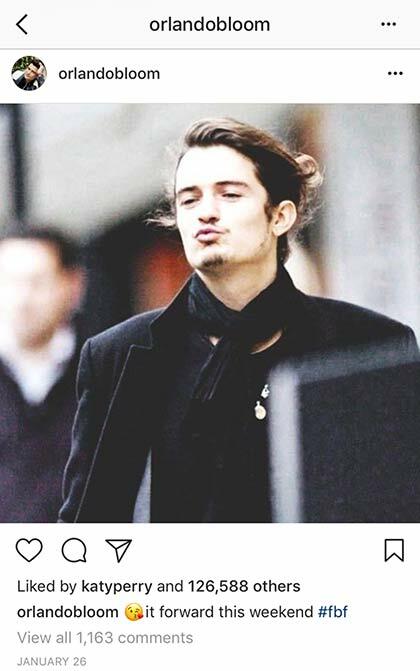 At least, according to this fan account of their relationship. While it’s possible they have matching clothes, the idea of them sharing things like a mustard Supreme hat and custom Orly onesies is more exciting. 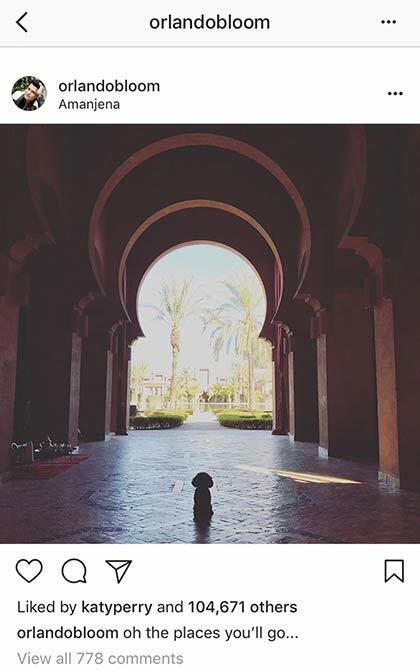 The photo with the pup (hi, Nugget) is from Katy's Instagram Stories earlier this month. They’ve been liking each other’s posts on Insta. She’s even been tagging him on Insta. If you've been a fan of KaBloom/Korly/Korlando since day one, you might be tempted to shoot down any or all of this evidence with Katy's March 2017 tweet about "a new way of thinking" and not seeing anything wrong with being friends with an ex. Well, it's 2018. It's only February. The world is your (and Katy's and Orly's) oyster. Go on, be in love! Be friends! 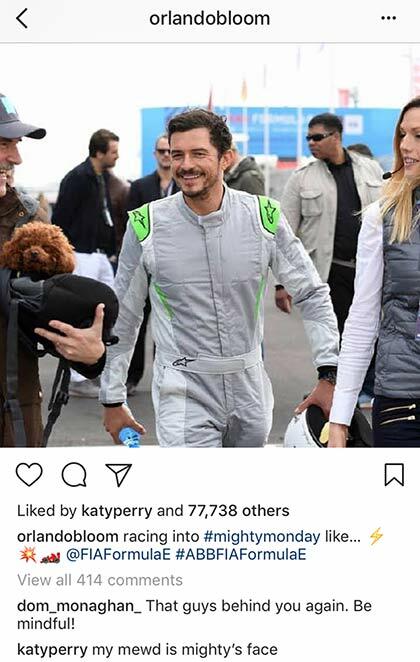 But most of all, be grateful that Mighty the dog (Orlando's dog who looks like Katy's dog) exists.